Hey, Lily! Do you know any piano which fit both beginner and professional players? As you know, I am smart so I can learn everything in some days but I don’t want to waste my money on 2 models in a short time. Actually, she is just kidding. However, I immediately think about Casio Privia PX150. It comes with many great features for skilled players but any beginner can easily use it because of a simple design. The Casio Company which has some worldwide headquarters in Japan, Tokyo has operated 30 years in the digital piano production. Besides, they also deal in other categories including sport & consumer watches, advanced digital cameras, calculators, and advanced digital technology for communication devices. The products of Casio are manufactured with the best digital technology at a lower price. What's more, this brand provides warranty coverage within 3 years. There are 2 lines: Privia arrangement and Celviano pieces. The Privia arrangement gives far-reaching learning as well as playing background which are the best for the genuine musician. 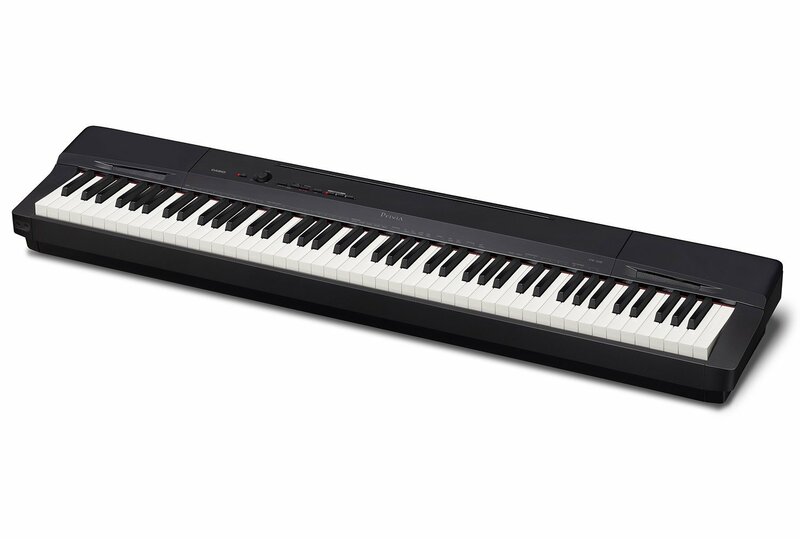 The PX150 which is upgraded from the older PX130 is one of the best digital pianos on the Internet. 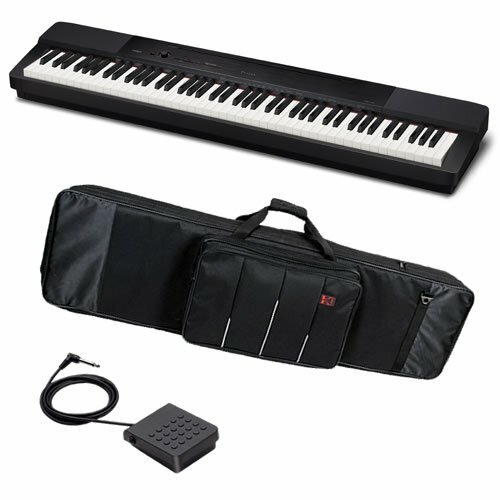 This 20-pound digital piano is the lightest model on the market so it's very easy to carry out even frequently. Some people consider a casio as a decor so color is an important feature. This is not a big problem for Casio Privia 150. There are 2 colors: black and white which suit the most home decor. Furthermore, the ebony and ivory textured keys mimic a real piano so it's great to add any house design. An Air Sound Source technology - 'Acoustic and intelligent Resonator creates a more real feeling. Thanks to the portability feature, you can easily bring it on your trip. There are an extra bag and stand which are more travel-friendly for the gigs. Moreover, with a compact design, it suits those who want to save space due to their small room. There are 10 high-quality pre-set voices depicting the different instruments. It can contain up to 60 pre-set songs and 10 user songs. There are 4 different types of reverb and chorus which allow you to alter the brilliance -3_+3. Thanks to its 128 polyphony, you can play most songs with several options of sounds such as Bright, Mellow, Classic, Modern, and Concert. Besides, it also comes with 2 speakers, 16 watts of audio power, 18 instrument tones, and 5 acoustic piano reproductions including pop piano and classical concert piano. The PX150 brings an authentic piano feel because it is redesigned with ivory keys and simulated textured ebony. The weight keys and sound engine of the piano remember and consider the speed that the different-sized hammers move in the model. It is relative to the velocity that users press the keys. The PX150 sound mechanism will replicate the process. The weighted keys respond because the Tri-sensor action runs similar to a real piano. While bass tones are heavier, the treble tones are lighter. The 3 sensors give the right response depending on how users press the keys. In general, these capture the exact dynamics of performance at any speed. In fact, the Casio PX150 has been improved from its previous generations. Thus, it can use over 3 times the memory. They are a mix of a more natural piano tone, and the Acoustic intelligent Resonator or Air sound source. The sound mechanism provides an unmatched detail as well as realism, allowing you to express a better performance. There is a USB connectivity, allowing users to use with Window or any Mac computer. It's free of a hassle to download extra drivers. Specifically, you can upload or download tracks to your computer or piano through MIDI capacity. 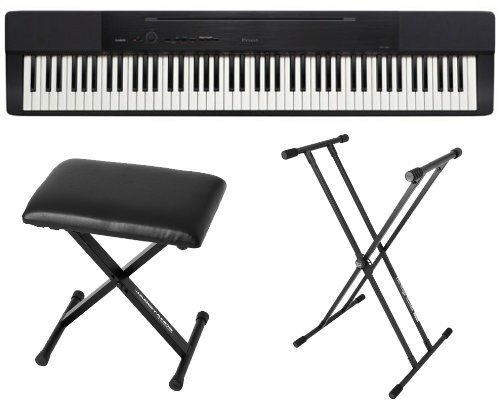 There are some instrument voices in the Casio PX150 such as bass, strings, and organs. In addition, you can play bass on a side as well as layered tones on another side through Layer modes. According to piano instruction, the keyboard has 2 halves based on the duet mode. The CS-67 will raise the height of the instrument. The SP-33 pedal provides the similar pedal function to an acoustic grand. This model has midi in and midi out which allow you to connect it to a midi controller. As I mentioned, you will have a headphone jack which helps you enjoy sounds without disturbing anyone else on this purchase. You can accommodate up to 2 tracks with playback in the built-in track recorder. Moreover, this feature also allows you to record your practice sessions for future learning progress. Note: you can just record twice a time. Do you want to study performances and document your new ideas quickly? If yes, this is a perfect choice. 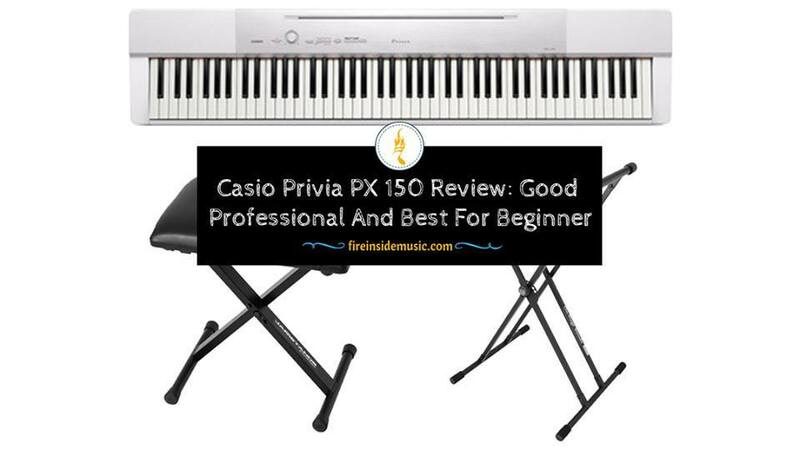 If you are looking for a product which has a lot of good reviews from actual users, the Casio Privia PX150 is your solution. Apart from Amazon, it has many good ratings at a lot of independent review sites. The good news is that most of them are satisfied with the quality as well as performance. However, a few unsatisfied users said that this product is good but it comes with some not serious problems. This model creates a reasonable vibe, reflecting the textural impression of midnight keys and the ivory of a typical genuine piano. Another great feature is the degree light that is contrasted with many different units. It is so amazing for artists to convey the instrument forward and backward among practice and settings. You can’t expect a perfect product without any mistake. Casio Privia PX150 isn’t an exception. Do you wonder that why I compare PX150 vs Casio PX 160? It is because the PX 160 is one of the best options available on the market for students, beginners, and intermediates. 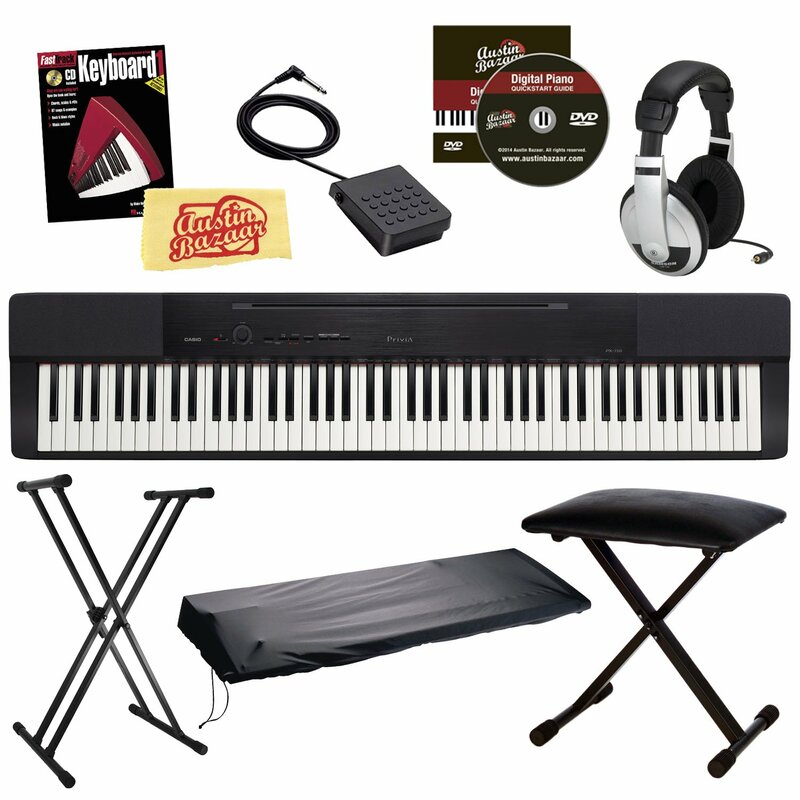 Moreover, it also provides you with a realistic piano playing experience. 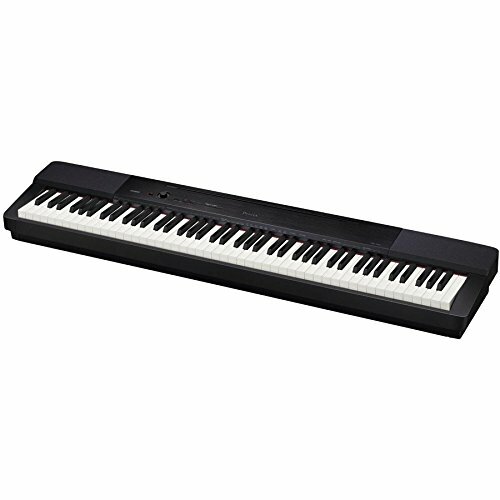 The Casio PX160 is an 88-key hammer-action digital piano has 2 different finishes: Champagne Gold and Black. It is a compact and elegant redesign for a better speaker system. The PX 160's body was improved and redesigned so it can accommodate the new speaker system featuring 2 8W-speakers as well as a smart design. You will have rich and powerful sounds without a dedicated external P.A system. You don't need to worry that it will lose one of the strong points of the previous model: size or weight. the weight of the PX-160 is 25.5 which allows you to carry it to everywhere from your home, gig, to the college dormitory. If you want to purchase the PX-160, keep in mind this thing. Its speaker system is ported to the back and open to the front so placing the PX-160 against a wall creates a dêp and remarkable sound. The best position is in the middle of a room. 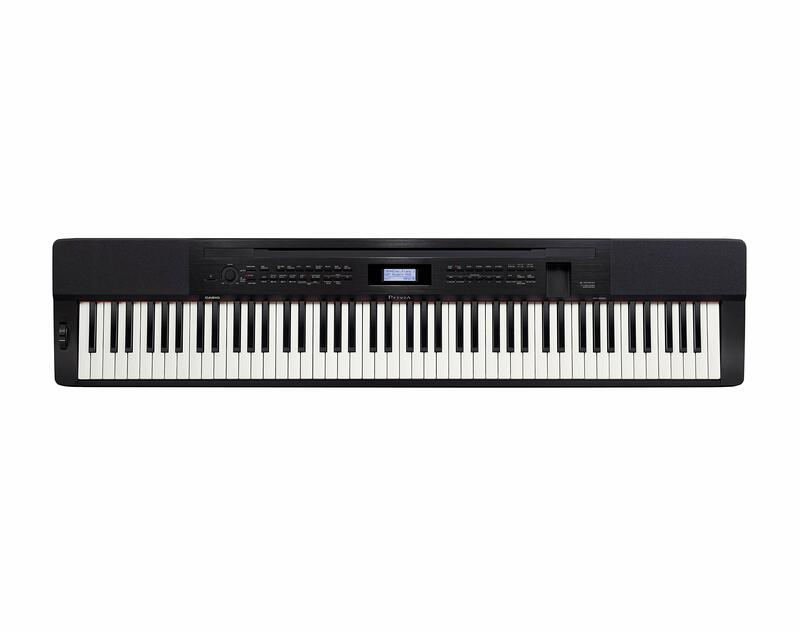 This 88 full-size keys model brings a feel of playing an acoustic piano thanks to the combination of Yamaha's GHS key action and 2 sensors per key. In spite of 64 note polyphony, the level of processing power can improve the music quality very well, not create many note-stretching. The Yamaha P45 piano can play 2 sounds at the same time. This feature is necessary for chords. You can choose a lot of effects such as bass, jazz organ, and reverb. The keyboard slits into your right hand and left-hand parts. Also, it has the dual mode, which allows 2 players to play at once on 2 identical 44-note keyboards. There are other things including metronomes and separate voices like strings and piano. It works well for duets, students and teachers. This device allows you to use the USB connection to link an iPad or any device to a music app. 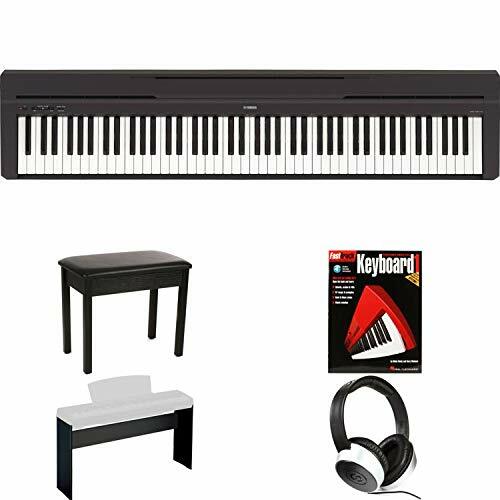 Choose it if you are looking for a digital piano which comes with more auto-accompaniment attributes and instrument sounds. What's more, it also has 180 built-in rhythm patterns and 250 instrument tones. Looking for a similar feature to the PX 150? 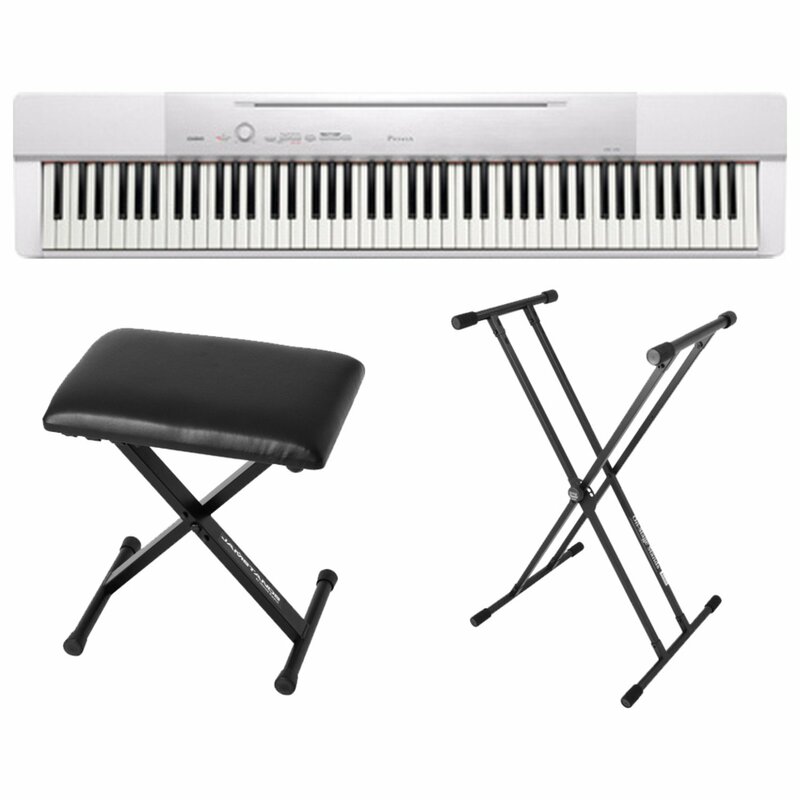 The Casio PX 350 allows you to add a full set of piano pedals with the Casio SP-33 pedal separately, featuring damper, soft and sostenuto pedals. What else you will get from this model? The basic information of Yamaha P115 includes 192-note polyphony, more 3 times the P45. So, it has more complicated music sounds authentic without being digitally stretched. Thanks to the support of its four built-in speakers, the sounds are better providing better response. If you use the 2 ¼-inch, you can output sounds to external amps. The P115 allows you to sustain the string sounds in order to enjoy resonance like playing an acoustic piano. It is designed with sensors which you play with heavier action at the low end and lighter at the higher notes. Do you want to record your songs? You can record them on 2 tracks for playback-one for the left hand and right hand. For playing chords, you should make use of the Pianist Style feature to enjoy a full piano accompaniment. Thanks to a good look, you can add it as a piece of decor for your house. The portability feature allows you to carry it everywhere. The 10 high-quality pre-set voices can contain up to 60 pre-set songs and 10 user songs. The great sound system helps you play most of songs. You can connect with your windows and Mac computer via USB connectivity. In particular, it’s free to record your practice sessions. Does it satisfy you? Please let me know by leaving your comment in the section below. There are many people who are waiting for having an interesting discussion. Also, share if you see this is an informative article.